New Build Charlotte Homes in Indian Trail, NC Looking for a fantastic location for your new Charlotte area home? Discover the unique equestrian-themed lifestyle community of Bonterra Village in Indian Trail near Matthews. 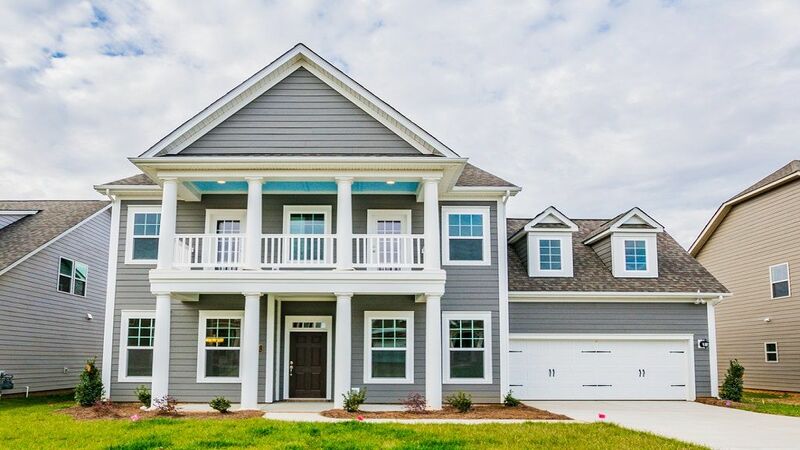 Positioned to provide exceptional value for your money, home buyers can take advantage of outstanding home design plus an array of popular community amenities from the $270s in a new construction Matthews, NC community. Choose from four distinct elevations on attractive 50', 60' and 70' homesites. Ranch and 2-story Craftsman, Charleston, Heritage and Patio style homes are built to exacting standards using superior materials by America's Most Trusted® Home Builder. Quality built and energy-efficient – it's all part of building new homes inspired by you!Relax with Fantastic Resort-Style Amenities Featuring green pastures, horse stables and riding trails, the equestrian-themed amenities at Bonterra Village make it easy to get the most out of rural North Carolina living within an easy commute to the city. Unwind at the Junior-Olympic sized pool or one of the many parks. Socialize at the clubhouse. Enjoy a vibrant workout at the state-of-the-art fitness center. Explore the many walking trails. Active living at Bonterra Village is a breeze.Select Your New House in Indian Trail, NC Charlotte homebuilder, Taylor Morrison offers 13 stylish open-concept floor plans to suit your personality and needs. All plans feature a bright and airy interior with clean sight lines, a generous family room for entertaining, gourmet kitchen and well-appointed owner's retreat with oversized walk-in closet and lavish master bath.1,951 to 3,300 Square Feet2 to 4 Bedrooms2.5 to 3.5 Bathrooms1 or 2 Stories2 or 3 Garage Creative bonus spaces include formal dining, study, rec room, loft, screened patio and more.